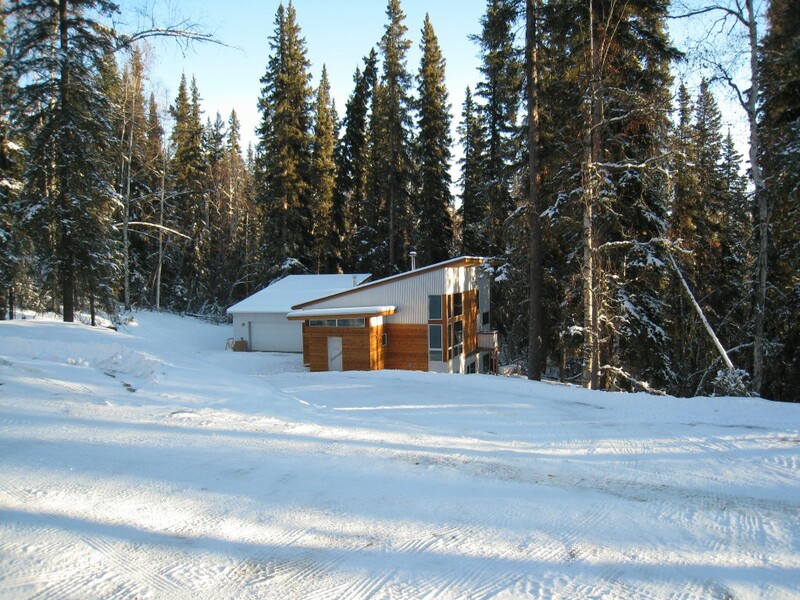 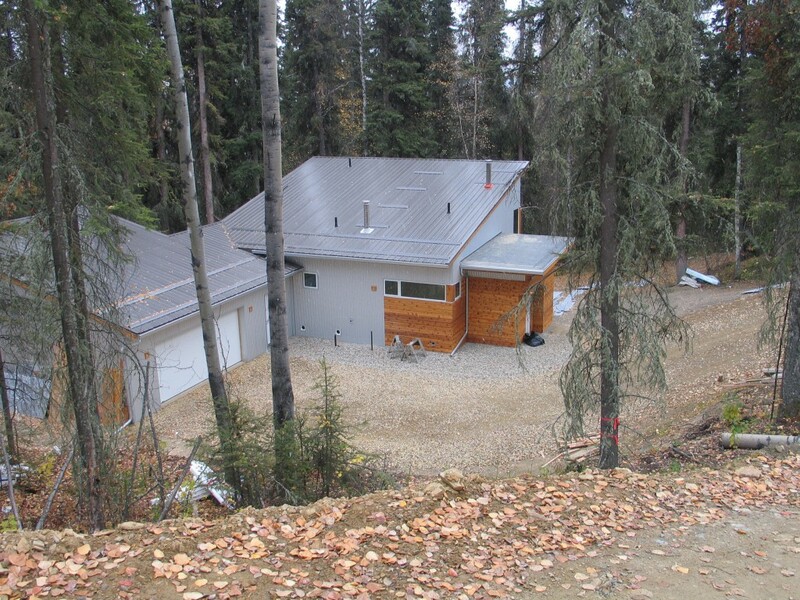 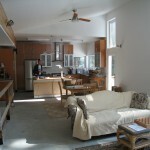 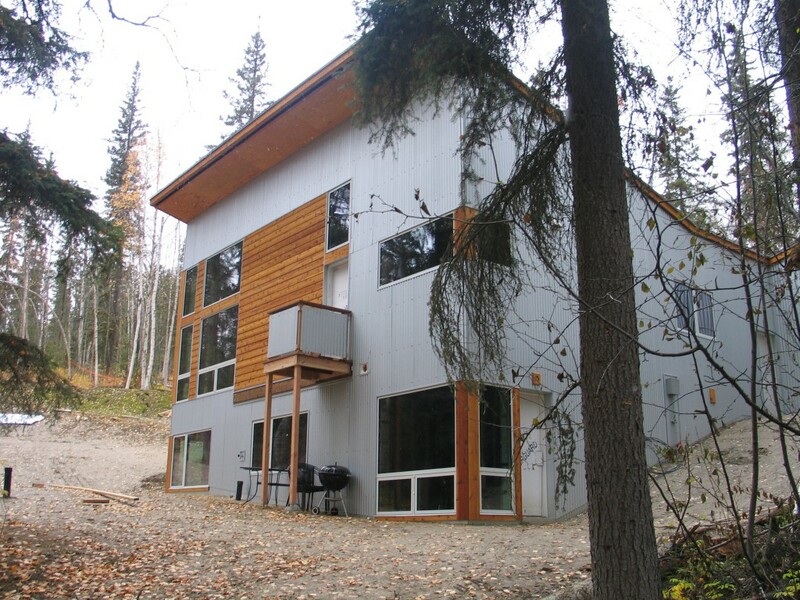 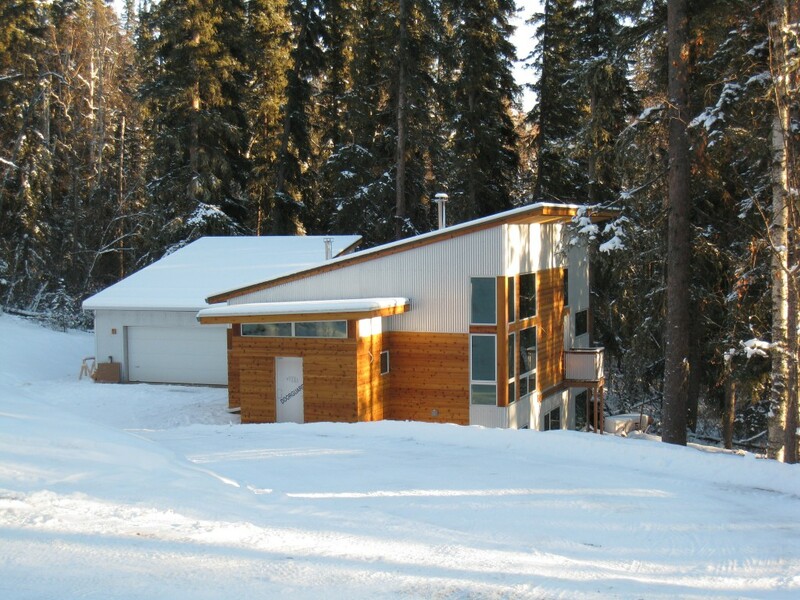 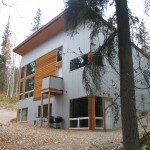 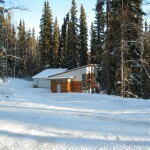 Nestled into the woods this 3 bedroom house is model of efficiency. 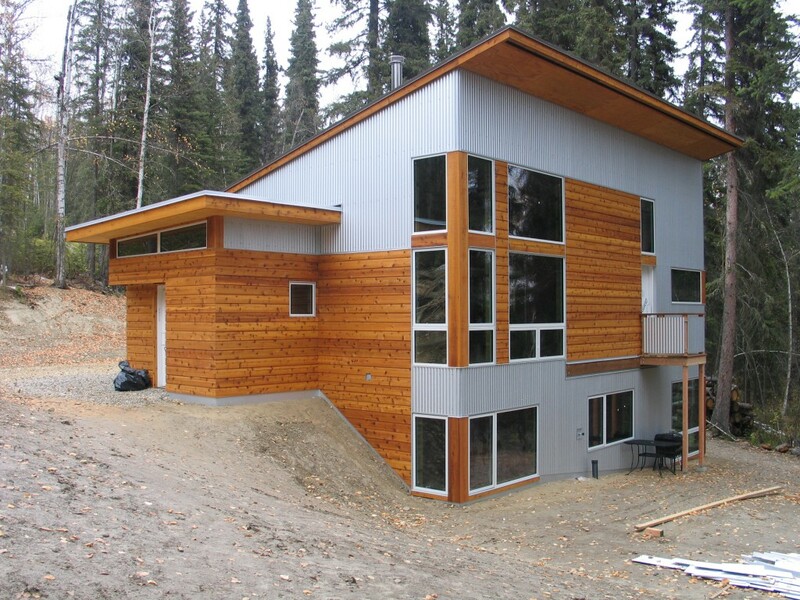 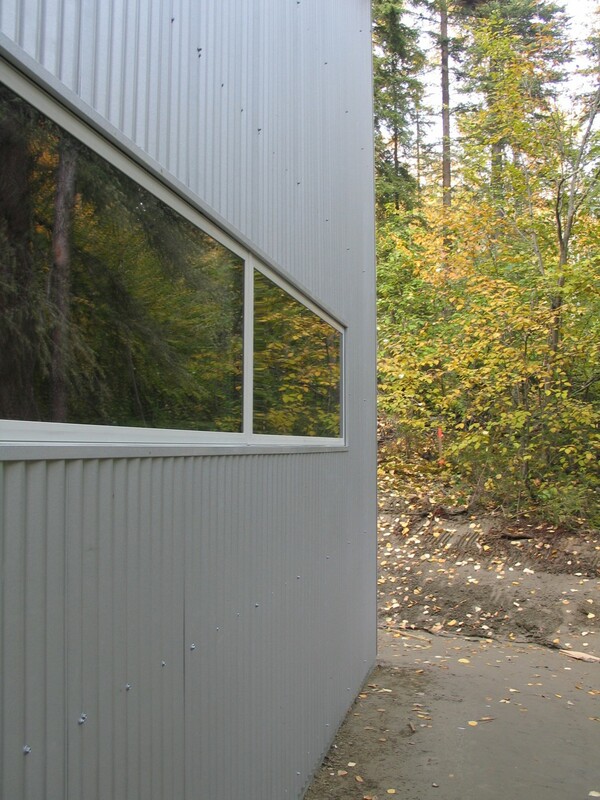 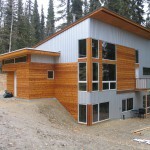 Corrugated metal and cedar provide an attractive non fussy exterior. 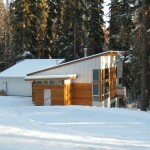 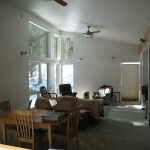 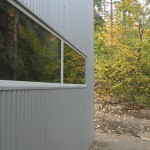 Corner windows frame the views of the spruce trees and maximize the available light. 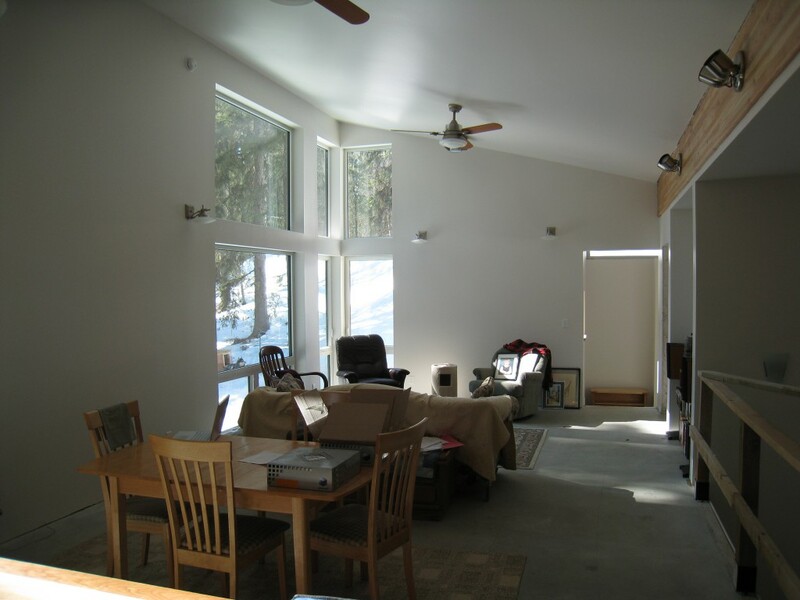 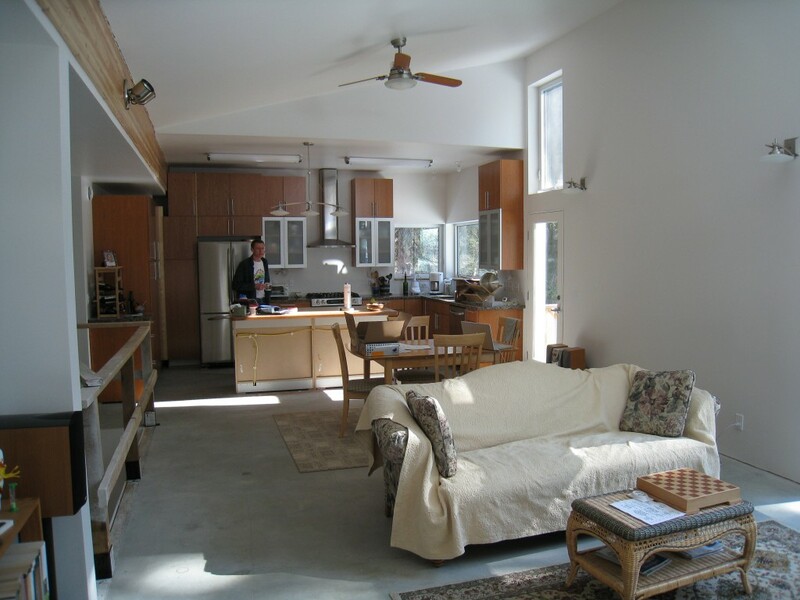 Simple shed roofs allow high ceilings at the living space and garage.